Rae’s Cafe is really proud of OG’s Premium Gourmet Royal Brewed coffee product. This smooth, flavorful coffee uses hand-sorted beans grown high in the Blue Mountains of Jamaica — an area that produces some of the most sought-after coffee in the world. 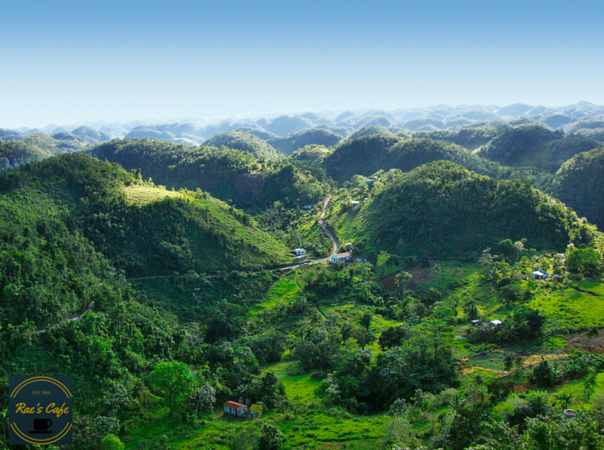 The Blue Mountains of Jamaica are located between Kingston to the south and Port Antonio to the north. Rising to 2,300 meters (7,500 ft), they are some of the highest mountains in the Caribbean. The climate of the region is cool and misty with high rainfall, and the soil is rich, with excellent drainage. This combination of climate and soil is considered to be the ideal growing conditions for coffee — which is one of the reasons why beans from this region are so highly prized. Coffee beans grown in this region and at the high mountain altitude (the finest coffee here is cultivated between 2,000 and 5,000 feet above sea level) are also prized for their mild flavor and lack of bitterness, making them incredibly popular. A whopping 80% of the beans from the Blue Mountains are exported to Japan. Coffee production in this region is highly regulated by the Coffee Industry Board of Jamaica, who certify and label all coffee grown in the region to avoid any mislabeling or counterfeit beans that could dilute the incredible reputation of coffee from the region. Hagley Gap and Mavis Bank are two farming communities located in the Jamaican Blue Mountain region that rely heavily upon the area’s renowned coffee growing industry. Here at Rae’s Cafe, we’re proud to be able to offer such fine coffee to our customers, as beans from the Blue Mountain region truly are one of the treasures of the earth. Combining this with our prized Ganoderma lucidum makes this product a brew fit for royalty. We hope you enjoy a touch of Jamaica’s finest beans every day, and experience the healthy luxury of Premium Gourmet Royal Brewed coffee.